Everyone wants to experience the unique, amazing fun that comes with riding in a chauffeured limousine. From feeling like a star attending a Hollywood event to enjoying the dependability and comfort that comes along with quality assured chauffeur drivers. Taking a limo to any destination is everything you’ve dreamed and more. The appeal of showing up anywhere in style and with a professional chauffeur is irresistible. Without the hassle of dealing with traffic or worrying about being on time, you are free to relax and take the time to truly enjoy the ride and experience. With courteous, considerate chauffeur service, Signature Transportation offers the opportunity to not only accomplish needed tasks but feel relaxed while doing it. At Signature Transportation, we offer a wide selection of vehicles including sedans and sport utility vehicles to arrive at your destination in comfort and style. Choose from a luxurious Mercedes Benz, Lincoln Town Car, MKS and more. Signature Transportation has the exact chauffeur car service for you. 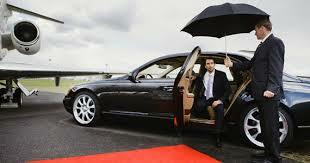 At Signature Transportation, we take great pride in the quality and professionalism of the chauffeur drivers we hire. With experience and unparalleled chauffeur services, our drivers will go above and beyond to make sure you arrive on time, safe, and comfortably. Our chauffeur drivers are knowledgeable and qualified to handle virtually every situation and their polite dependability knows no bounds. Whether they are driving your kids to the prom, taking you to your wedding venue, or just picking your brother up from the airport, these chauffeurs know the best way to approach each and every situation. Our chauffeur car service goes above and beyond to serve its clientele and all of their car service needs. Signature Transportation employs the most commendable drivers, who are all licensed and experienced to drive cars, SUV limos, party buses, and the like. Schedule an appointment today for all your transportation needs. 704-202-9685. Professional chauffeur limousine services in Charlotte, NC by Signature Transportation. Hire a reliable chauffeur to get you to your destination safely and on time.